And no, I'm not expecting any grand babies, either. The two precious punkins I have are all that I will ever be blessed with. So, just how is my family growing? 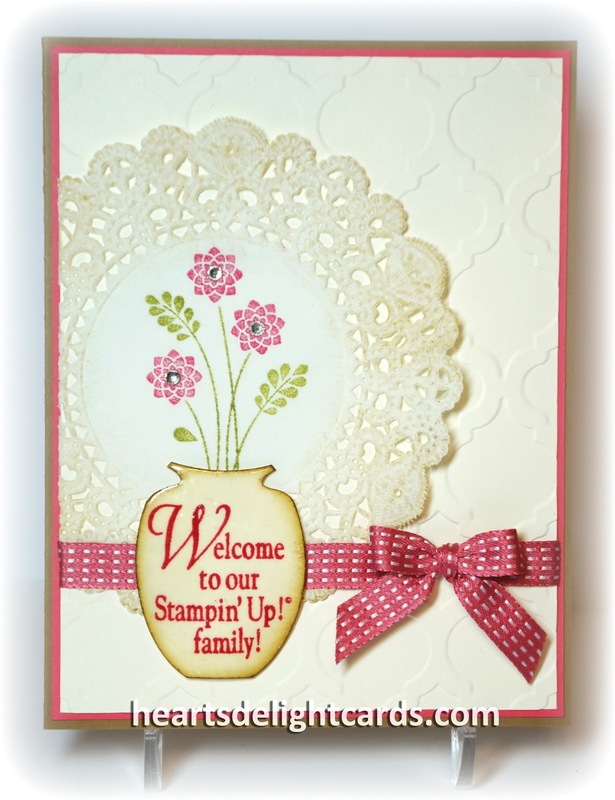 I'm so glad you asked....it's my STAMPIN' UP! family, of course! Patty joined during Sale-A-Bration, and Clarisa is the newest member of my stamping team. Not only did she sign up last week, but she did it the day before 300 new spots opened up for Convention, and she's going to Convention, too! This is the little welcome card I sent to Clarisa. I'm just so happy she's one of "us" now! And here is Patty's welcome card. She's going to Convention, too! Look out, Salt Lake City, here we come! If you join my stamping family, I'll send you a pretty welcome card, too (along with some other handy-dandy stuff*!). It doesn't matter where you are located, as long as you are within the United States. You will be included, long-distance, in our activities. How does that work? Just ask me! And, until May 30th, you get an extra $30 in product of your choice in your starter kit. 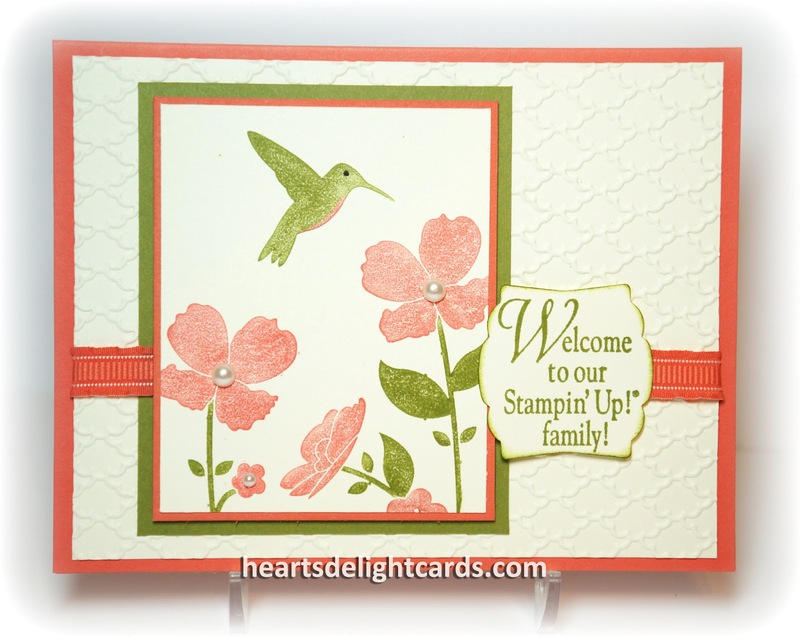 That's $155 of stamping goodness for only $99! And YOU get to choose what you want in your kit!!! So what are you waiting for? It's easy, it's fun, and there's no obligation whatsoever to do anything further, if you don't want to. (But I have a feeling you'll want to!) JOIN NOW! 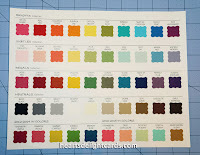 * New 2013-2014 Color Refreshed Chart. And yes, I punched all those colors out and glued 'em one by one on the chart.....that's how much I love my girls! Love the welcome cards, Cindy, and looking forward to meeting the other members of the team! Love you cards. 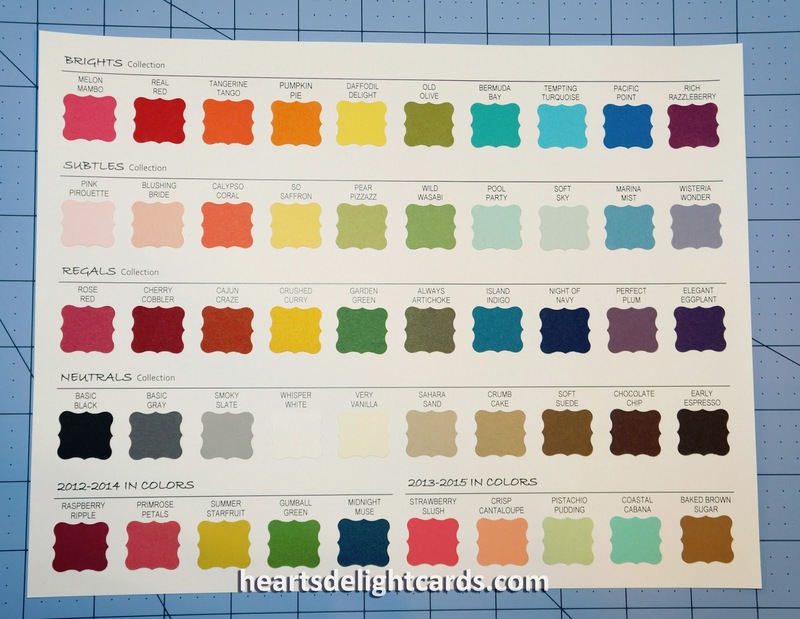 Do you have directions on making the color chart? Pam, I just made the chart using Publisher. I don't really have any directions for making it, sorry!